Patrick Chimtendere is experienced on all the Packit machines and will ensure your vacuum packer is in good order for the demands of 2011. 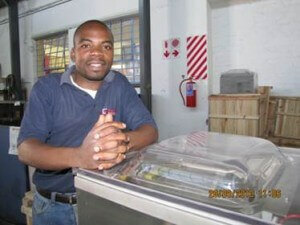 He is now based permanently in our Johannesburg branch. Call out rates and travel will apply if he needs to visit your premises.